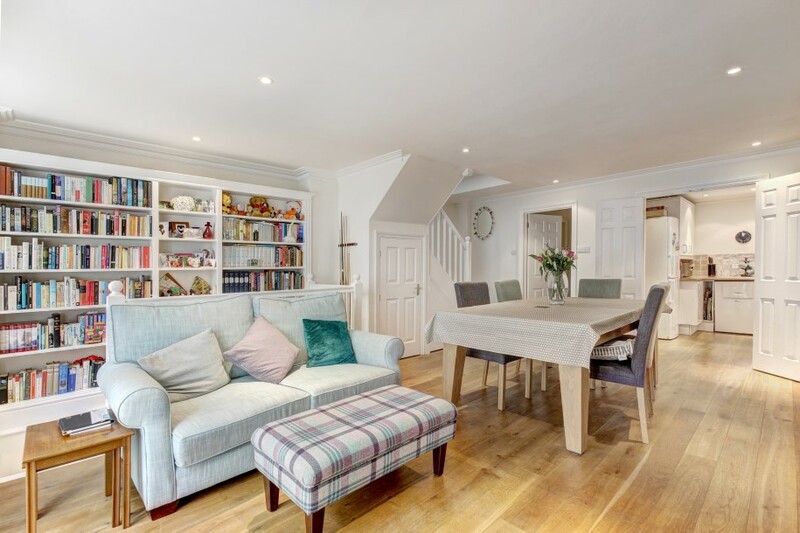 Immaculately presented with accommodation over three levels and solid wood flooring on the ground and lower ground floors. 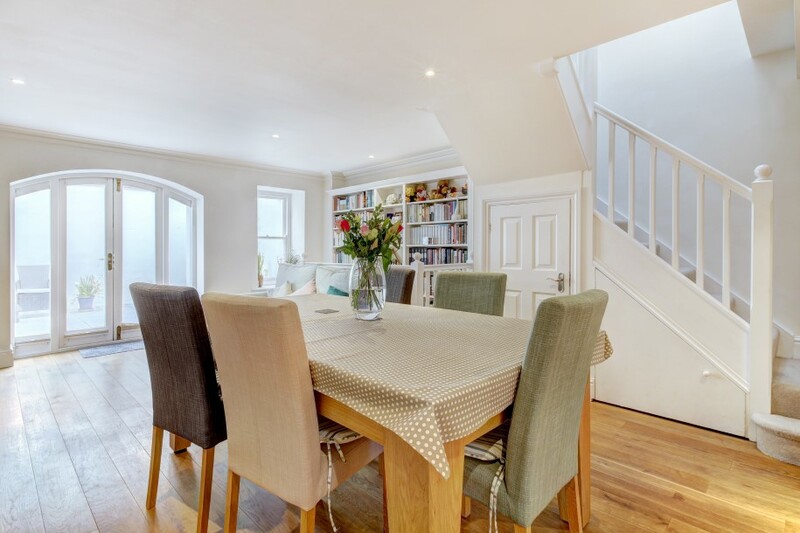 The ground floor has a contemporary kitchen with integrated appliances which flows beautifully into the sitting/dining room which is ideal for entertaining. This principal reception room has double doors with side panels opening onto the rear courtyard. 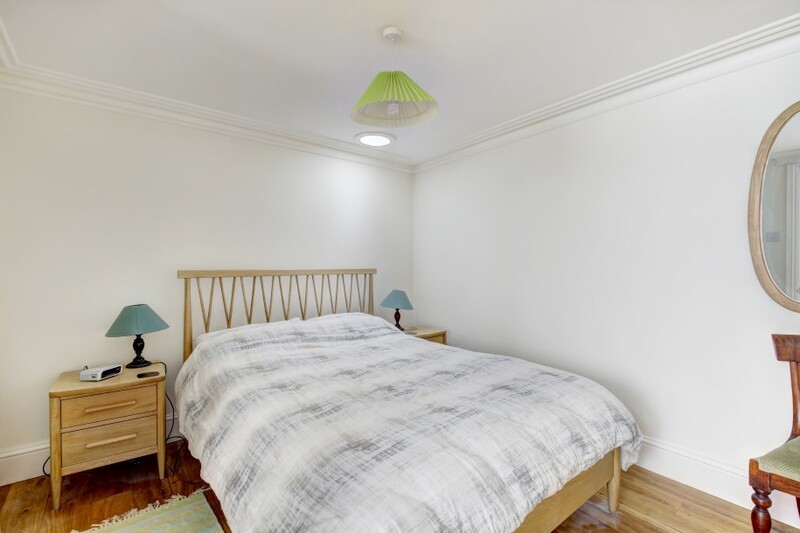 On the first floor, bedroom 1 is situated to the front elevation with fitted wardrobes and an en-suite bathroom. 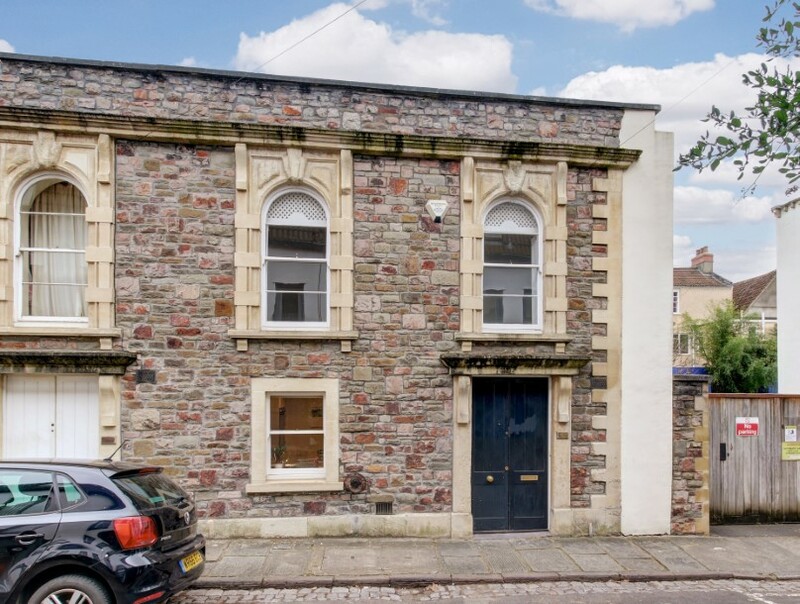 There are two further bedrooms serviced by a family bathroom, whilst on the lower ground floor there is an additional bedroom with en-suite shower room as well as a gym/cinema room and separate utility. Outside the property there is rear courtyard and an additional sunken courtyard. A discreet backwater location on the fringes of the harbourside and Clifton Village with its fashionable bars, boutiques and restaurants. 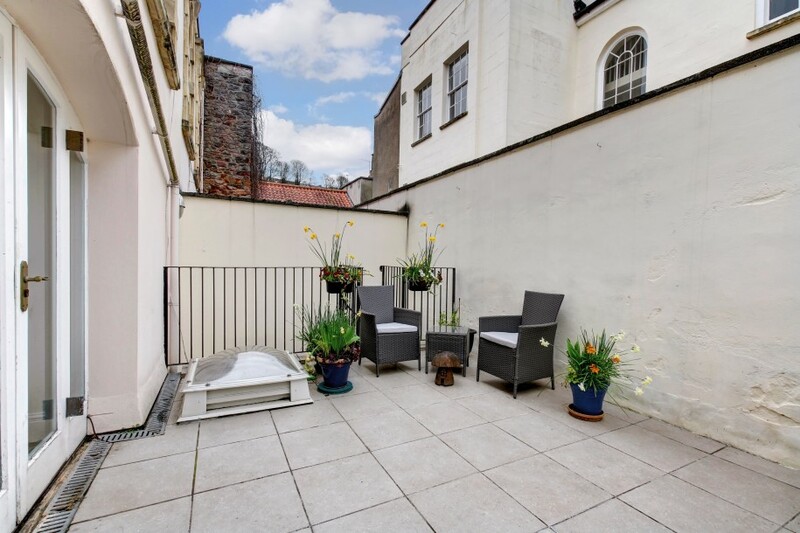 Bristol city centre is a short distance away and accessed via the A4 or water taxis. The docks provide leisure activities such as sailing and kayaking. 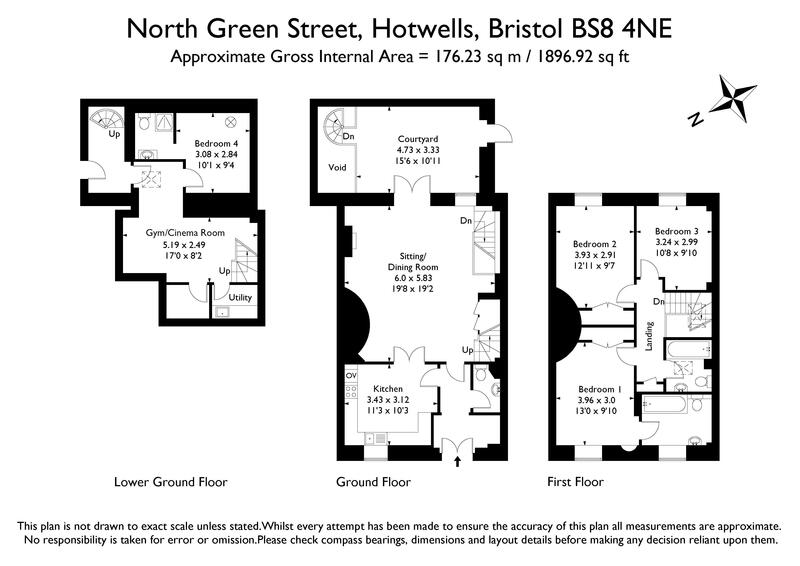 Schools are well catered for, Primary and Secondary, with Hotwells Primary a short walk away. Bristol has two mainline train stations, the closest of which is Temple Meads with services to many cities nationwide. 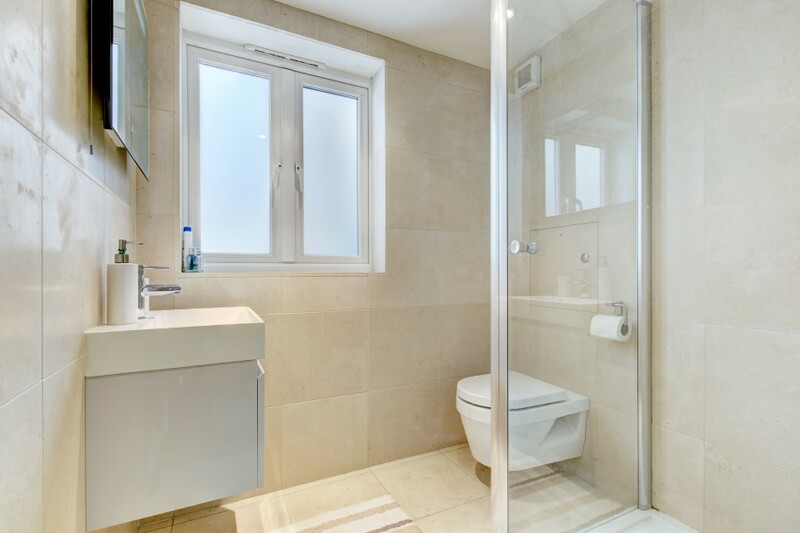 low level wc, pedestal wash hand basin with hot and cold water taps and splashback tiling, solid oak flooring, heated towel rail/radiator, moulded skirtings, simple moulded cornicing, inset ceiling downlight, extractor fan. comprehensively fitted with an array of sleek gloss base and eye level units comprising drawers, cabinets and shelving. Roll edged wood effect worktop surfaces with splashback tiling and pelmet lighting. Stainless steel central sink with draining board to side and mixer tap over. 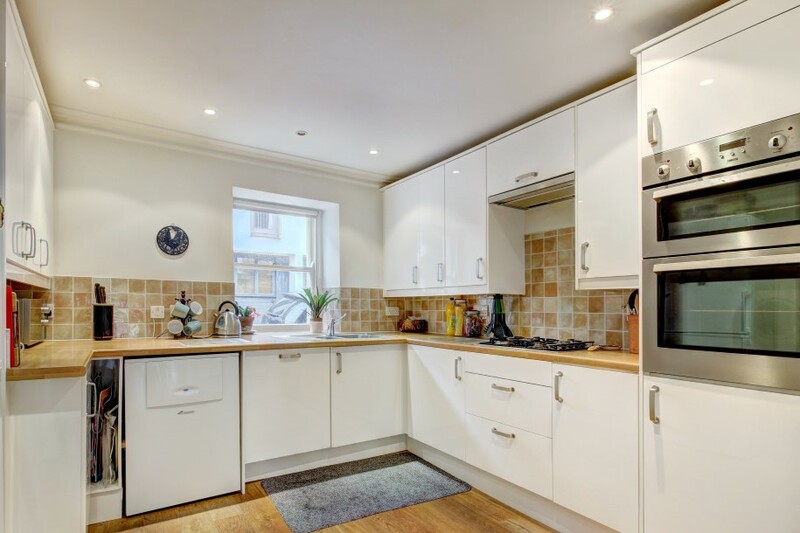 Integral appliances including eye level electric double oven, 4 ring gas hob, extractor and dishwasher. 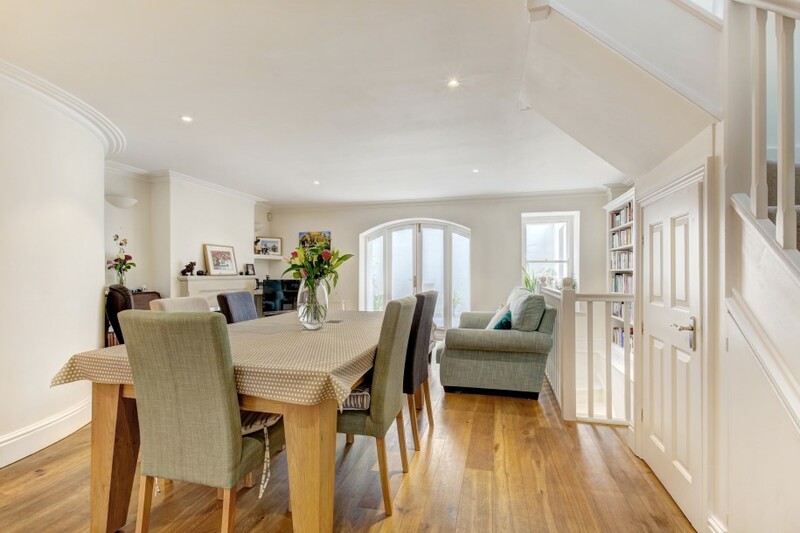 Space for tall fridge/freezer, solid oak flooring, moulded skirtings, radiator, simple moulded cornicing, inset ceiling downlights, sash window to the front elevation. Worcester Bosch gas fired combination boiler. Six-panelled door returning to the entrance hall. multi-paned arched sash window to the front elevation with working shutters. Panelled bath with twin handgrips, shower screen, hot and cold water taps and built-in shower unit with wall mounted handheld shower attachment. Pedestal wash hand basin with hot and cold water taps and splashback tiling. Low level wc. 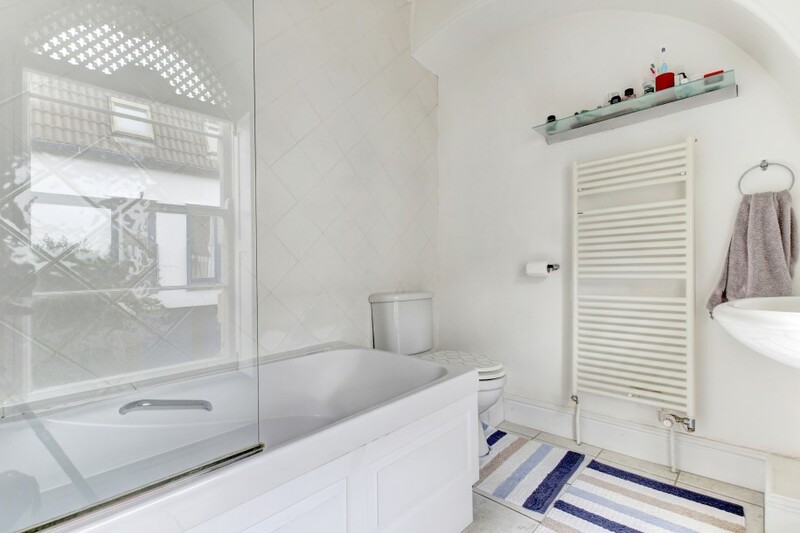 Partially tiled walls, tiled flooring, heated towel rail/radiator, moulded skirtings, simple moulded cornicing, inset ceiling downlights, extractor fan. 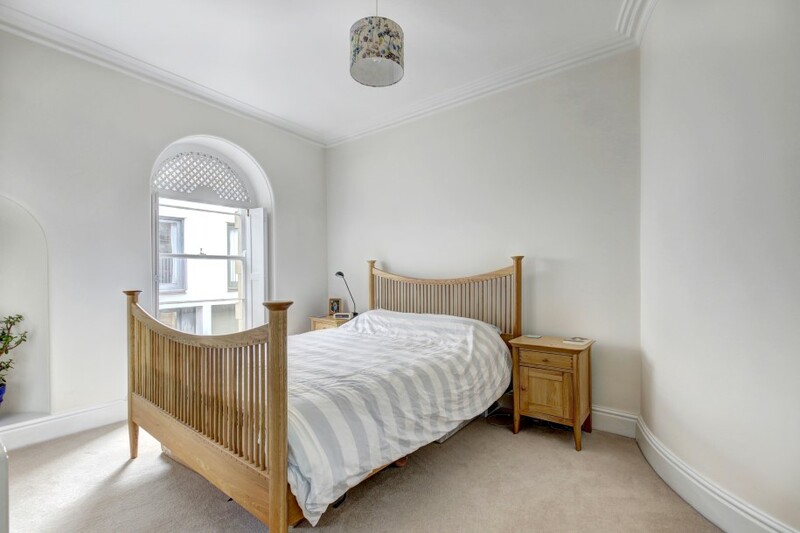 multi-paned arched sash window to the rear elevation with working shutters, built-in double wardrobe with cupboards above, moulded skirtings, radiator, simple moulded cornicing, ceiling light point. 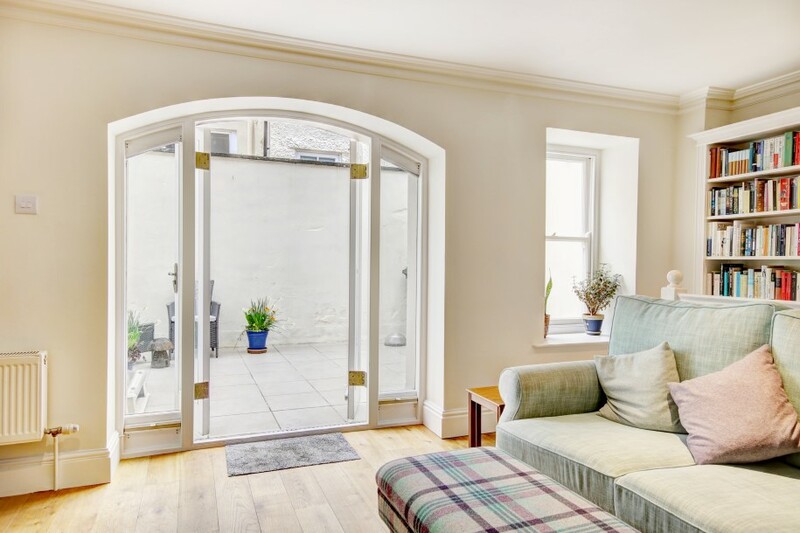 multi-paned arched sash window to the rear elevation with working shutters, decorative arched recess, moulded skirtings, radiator, simple moulded cornicing, ceiling light point. panelled bath with twin handgrips, shower screen, hot and cold water taps, built-in shower unit and wall mounted handheld shower attachment. Pedestal wash hand basin with hot and cold water taps and splashback tiling. Low level wc. 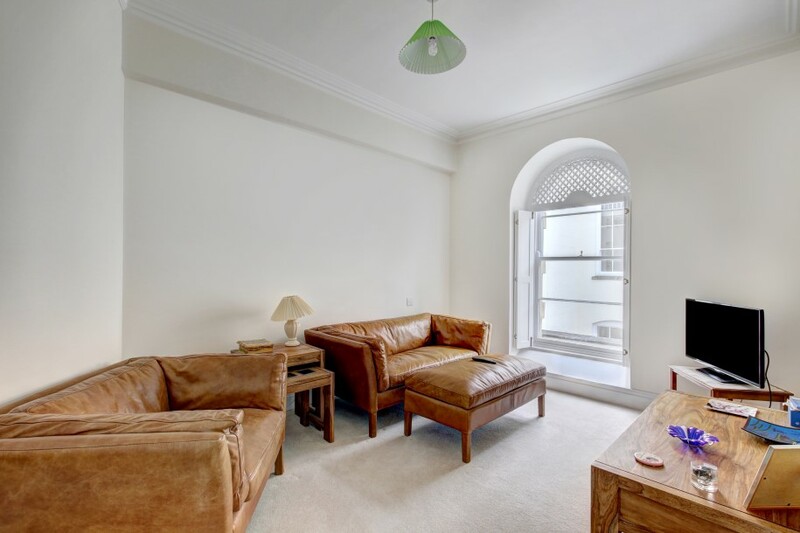 Decorative arched recesses, tiled flooring, partially tiled walls, heated towel rail/radiator, raised height skylight window, simple moulded cornicing, inset ceiling downlights, extractor fan, wall light point. shower cubicle with low level shower tray, built-in shower unit and an overhead circular shower. Low level wc with concealed cistern. Wall mounted wash hand basin with mixer tap and pull out drawer below. Travertine tiled flooring and walls, wall mounted mirror with integral lighting, inset ceiling downlights, extractor fan. Frosted glass double glazed window to the side elevation (shared with the bedroom). tiled worktop with matching upstand, undermount Belfast style sink with swan neck mixer tap. Space and plumbing for washing machine and tumble dryer. Tiled flooring, moulded skirtings, inset ceiling downlights. again designed for ease of maintenance with tiled flooring and wall light point. Aforementioned spiralled staircase ascending to the main courtyard. Fire escape door for Albert Hall North (the adjoining house). Situated at the top of North Green South and the left hand of the pair. Metal up and over door. it is understood that the property is freehold. This information should be checked by your legal adviser.